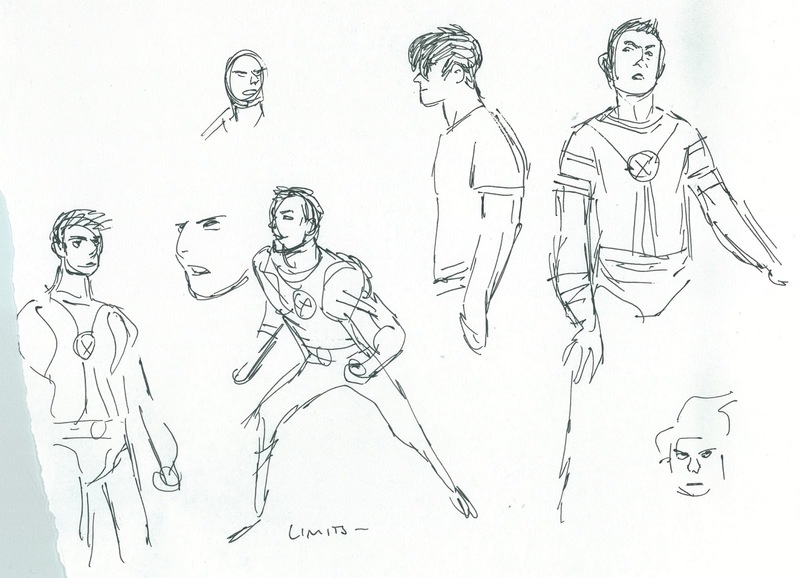 As I was saying yesterday, my friends and I played an X-Men RPG this week, and came out of it with a bushel of sketches. Today's art is by Emma Coats. 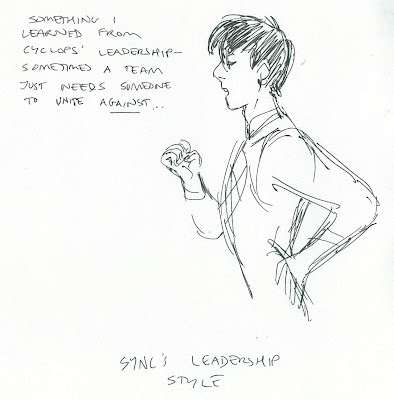 The subject is her character Sync, the upperclassman and self-appointed team leader. 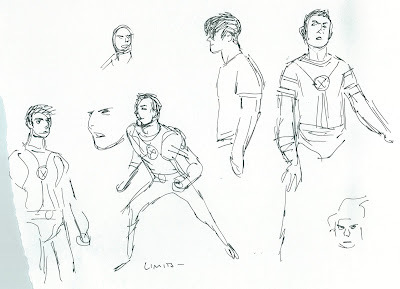 The first few sketches of a character are always exploratory, but once you find that defining trait (like a douchey, emo haircut) the character really starts to emerge. Sync's mutation is to imitate the powers of the supers around him. The one super he can't seem to stop imitating is his hero, Cyclops.